In this tutorial, I’ll show you how to use an Arduino to control LEDs. This is a pretty simple project, but you should learn how to do it early on because lots of other sensors and modules are programmed the exact same way. 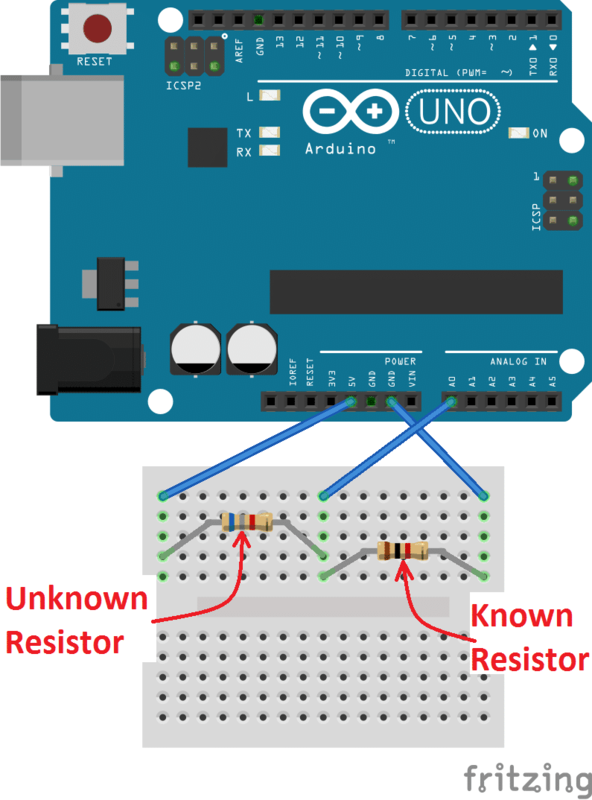 First I’ll show you how to turn on and off the Arduino’s on-board LED. 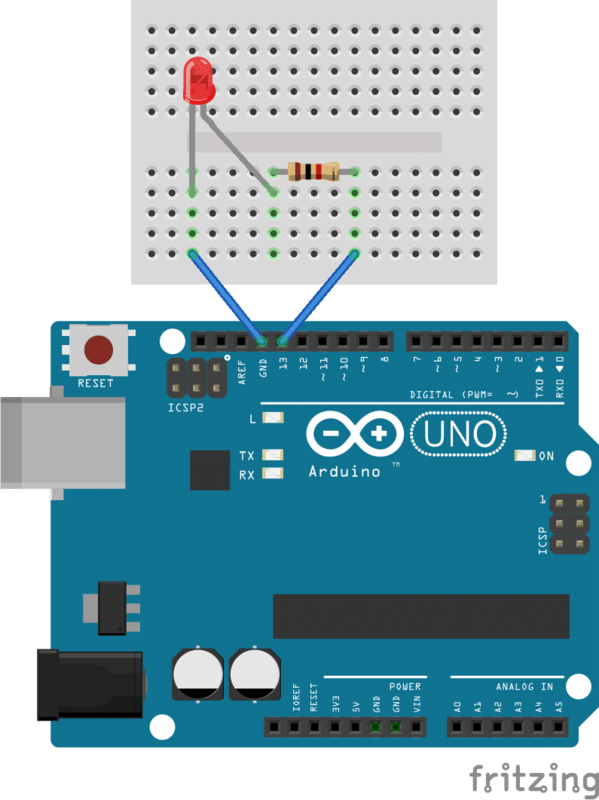 Then I’ll show you how to turn on and off an LED connected to one of the Arduino’s digital pins. I’ll explain how to change the LEDs flashing rate, and how to change the pin that powers the LED. At the end I’ll show you how to control multiple LEDs. Before starting, you should have the Arduino IDE software installed on your computer. 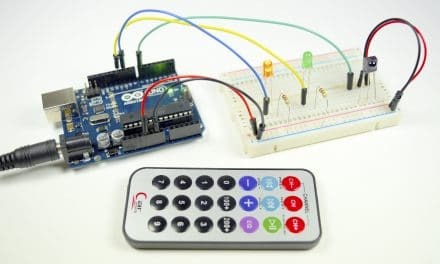 The Arduino communicates with modules and sensors by switching on and off electrical current. It’s very similar to the one’s and zero’s in binary code. When current is switched on, it’s known as a “HIGH signal”. That’s comparable to the “one” in binary code. When the current is switched off, that’s a “LOW signal”, which is similar to the zero in binary code. 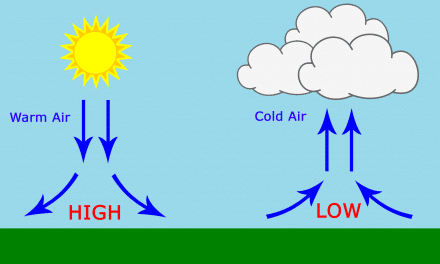 The length of time the current stays on or off can be changed from a microsecond up to many minutes. 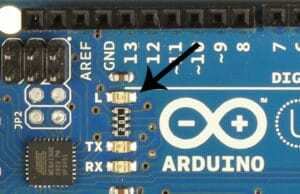 To turn on an LED, the Arduino needs to send a HIGH signal to one of it’s pins. To turn off the LED, it needs to send a LOW signal to the pin. You can make the LED flash by changing the length of the HIGH and LOW states. The LED should now be blinking on and off at a rate of 1000 milliseconds (1000 milliseconds = 1 second). The delay() function on line 6 tells the Arduino to hold the HIGH signal at pin 13 for 1000 ms. The delay() function on line 8 tells it to hold the LOW signal at pin 13 for 1000 ms. You can change the blinking speed by changing the number inside the parentheses of the delay() functions. An external LED or any other powered module can be controlled in a similar way. LEDs need to have a resistor placed in series (in-line) with it. Otherwise, the unrestricted current will quickly burn out the LED. The resistor can be any value between 100 Ohms and about 10K Ohms. Lower value resistors will allow more current to flow, which makes the LED brighter. Higher value resistors will restrict the current flow, which makes the LED dimmer. Also, most LED’s have polarity, which means that they need to be connected the right way around. Usually, the LED’s shortest lead connects to the ground side. 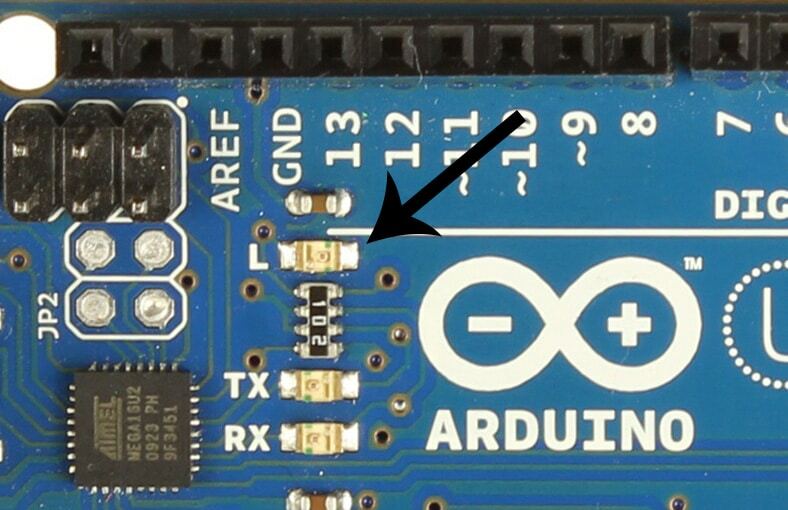 If you connect the LED to pin 13 as shown in the image below, you can use the same code we used above to make the LED flash on and off. After uploading, the LED should flash just like it did when it was connected to pin 13. You can control as many LEDs as you want as long as you have enough pins available. Let’s make the external LED flash along side the on-board LED to demonstrate. All we need to do is duplicate the code for pin 8, and change the pin numbers to pin 13. You should be able to see both LEDs blinking. But they won’t be blinking in sync, they’ll be alternating. The Arduino executes the instructions in the code from top to bottom. It reads each line and performs the task before moving onto the next line. Once it has read through to the end, it loops back to line 6 and starts over again. 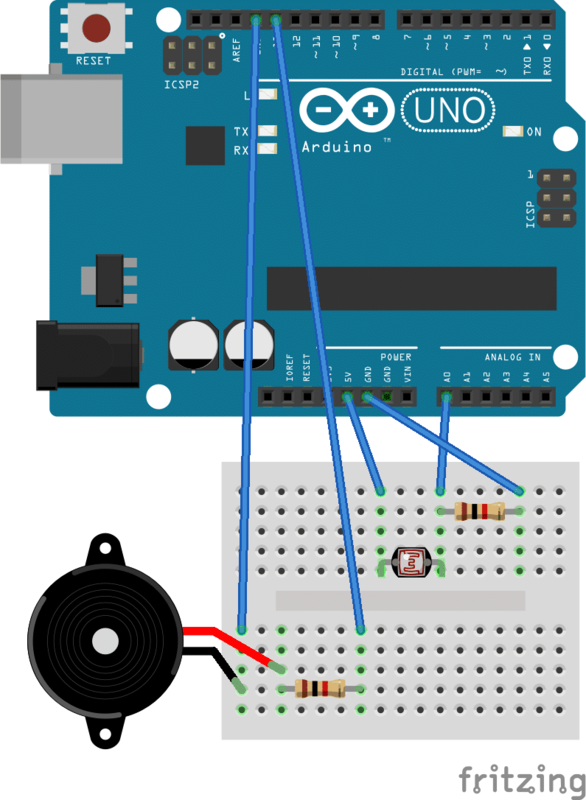 Now that you’ve seen how to control LEDs with the Arduino, check out part 2 of this series, where I’ll show you how to use a light dependent resistor to control how fast the LED flashes and how to control the pitch of sound output by a speaker. Whats I am doin wrong? make sure you’ve selected the correct board and port under “tools.” it should be “arduino uno” and “usb” respectively. first disconnect your arduino and verifi the code. even i got the same problem i did this and it got solved..
curious to see if the code for this could be fed by way of an xml file or something, to control when the light is on and off. without using a manual method . I want automatic way for this . I guess you need to deal with “analog pins” of Arduino.